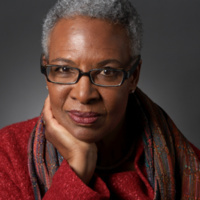 RISD alumna and award-winning historian, writer and artist Nell Irvin Painter joins us for a reading and conversation about Old in Art School: A Memoir of Starting Over. Painter has written many books, including Sojourner Truth, Southern History Across the Color Line, Creating Black Americans, The History of White People and Standing at Armageddon. Her most recent book Old in Art School: A Memoir of Starting Over is a finalist for the National Book Critic Circle Award. She is currently the Edwards Professor of American History, Emerita, at Princeton University and lives in Newark, NJ. I sincerely wish I could leave a review of Nell Painter, but, unfortunately, the weather forecast had me leaving for home after work. Nell Painter is someone I would really like to see, and I really hope she is able to come again for another presentation. Another thought, please change this review site to include a choice that is for "cannot review." As of now, because of the limited choices, I am hitting "It was great!" as I am sure that would have been my response if I had attended.